There were no important economic reports in the great Britain so traders are now waiting for labour data and Trade Balance figures. The support rests at 1.21210 with resistance at 1.23010 which both lines are below the monthly pivot point at 1.24390. 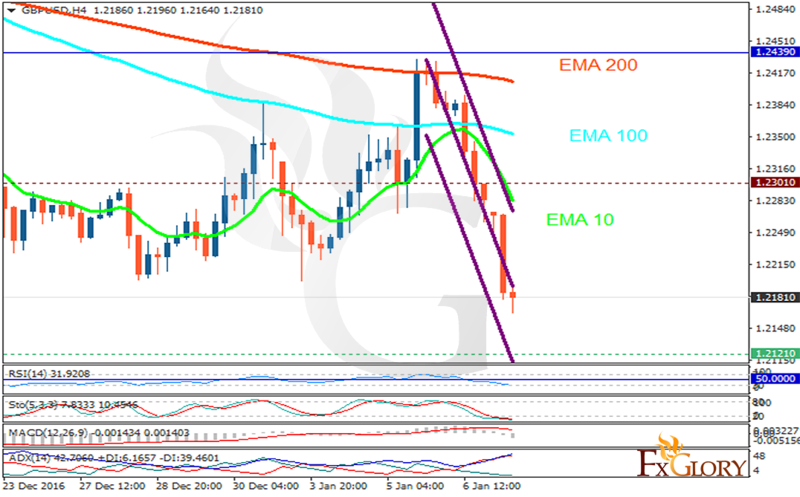 The EMA of 10 is falling down sharply and it is below the EMA of 100 and the EMA of 200. The RSI is moving in oversold area, the Stochastic is moving in its minimum rate and the MACD indicator is in neutral territory. The ADX is showing a sell signal. The pair is not going to decline more and break the support zone therefore traders can wait for the correction pattern to target 1.2400.